My name is Malcolm Batey and I had a stroke in December 2010. 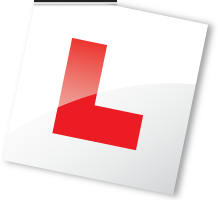 After a driving assessment at Walkergate Hospital in 2012 they recommended that I take 8 hours of driving lessons with a driving instructor. I contacted Jeff and he came out to see me to arrange lessons. I had 8 hours of driving lessons with him and found him to be extremely patient with me as I had not driven for 2 years and subsequently after reassessment at Walkergate I am now back on the road and feeling confident about driving after the lessons with Jeff. Booked semi intensive course for my son with Jeff, LDC Workbook and DVD seemed really good idea to me did have lean on son to get him to complete these prior to starting course but definitely worth it first time pass in just 2 weeks thanks JEFF. Excellent instructor LDC system no brainer definitely recommended. After failing my test with another instructor booked a test booster course with Jeff after a recommendation only regret was not booking him from start really boosted my confidence and made everything seem so much simpler Thanks.